Your basement is coming along in leaps and bounds. 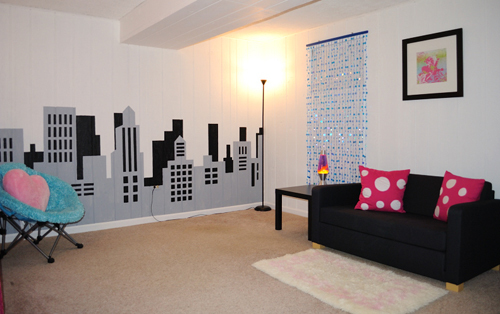 Here is a room I ear marked for a teenage hangout. That photo was taken several months ago. And now for a big reveal, here is what the room looks like today. The improvement speaks for itself don’t you think. 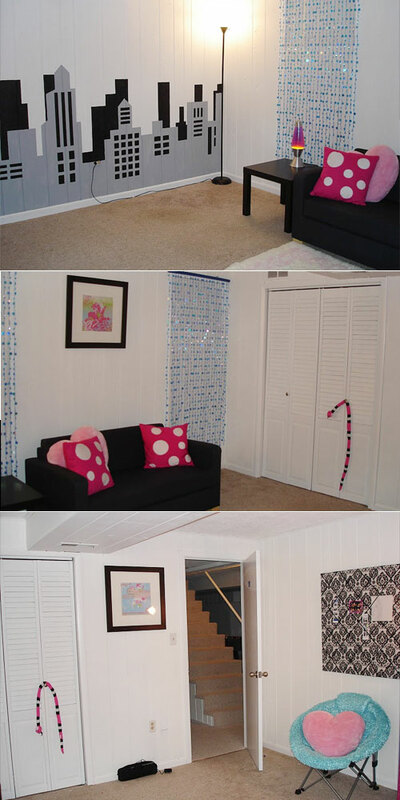 Created custom window treatments for those weird little windows you find in basements. 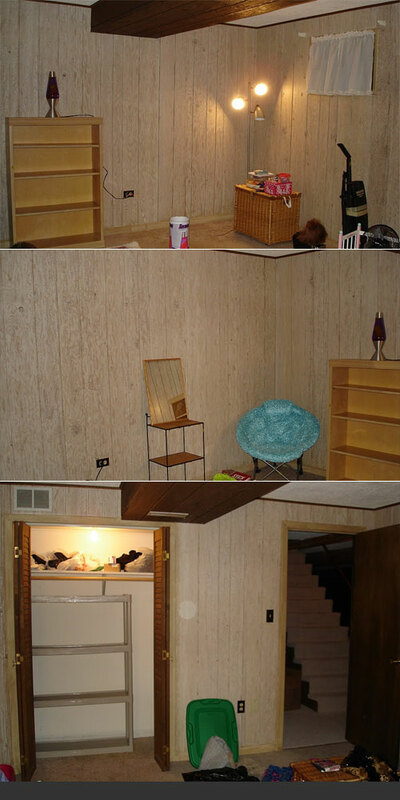 So what do you think “ye old brown basement” Are these improvements making you smile? p.s. You can “rate this space” over at HGTV . Go on give it 5 stars, you know you want to! 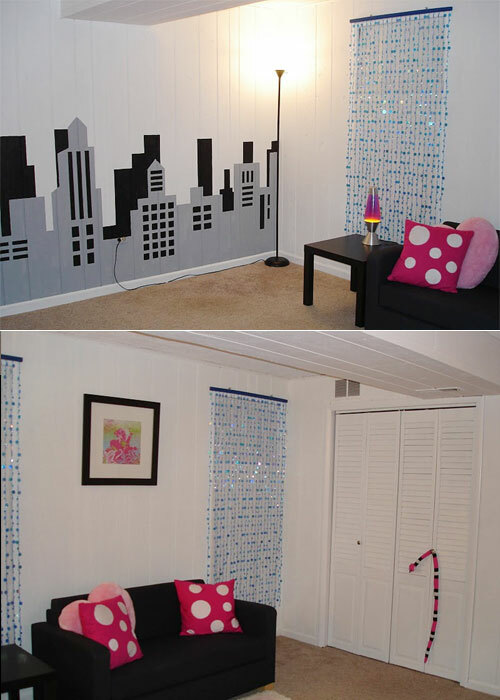 This entry was posted in Room Makeovers and tagged basement, beforeandafter, mural, skyline. Bookmark the permalink. ← Time to plant spring seeds? Love it…you did great on the mural!! Thanks for your comment on my blog as well! What a great transformation!!! I love the colors and it looks great! Pingback: How to Make a Fabric Covered Memo Board.